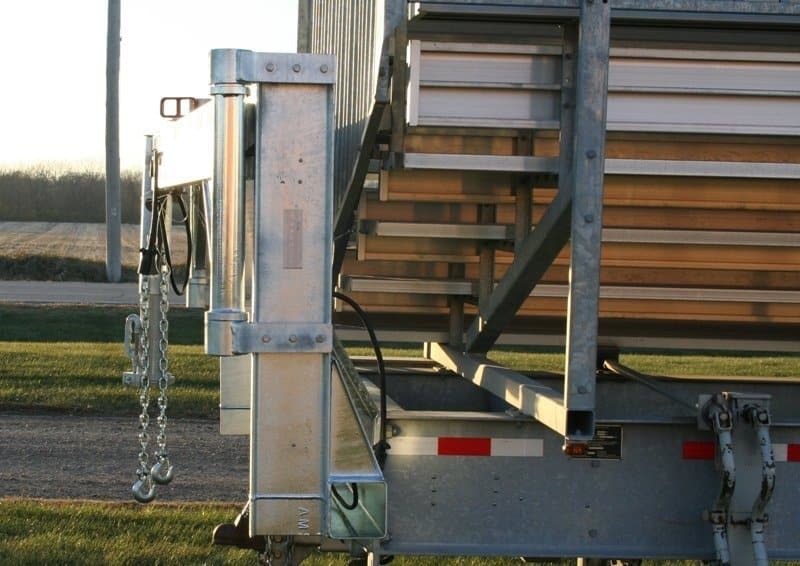 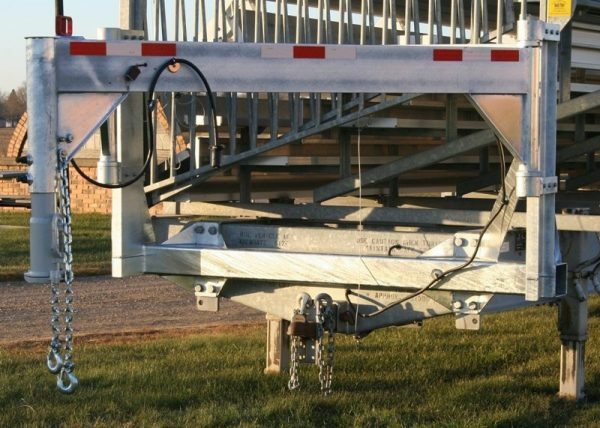 This is a Folding Goose Neck Hitch that can be added to a Speedy Bleacher that you already own. 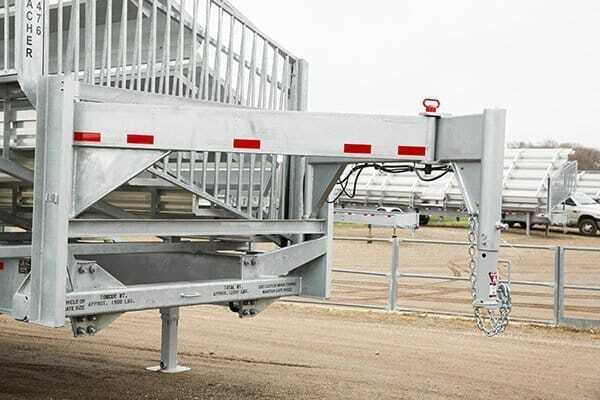 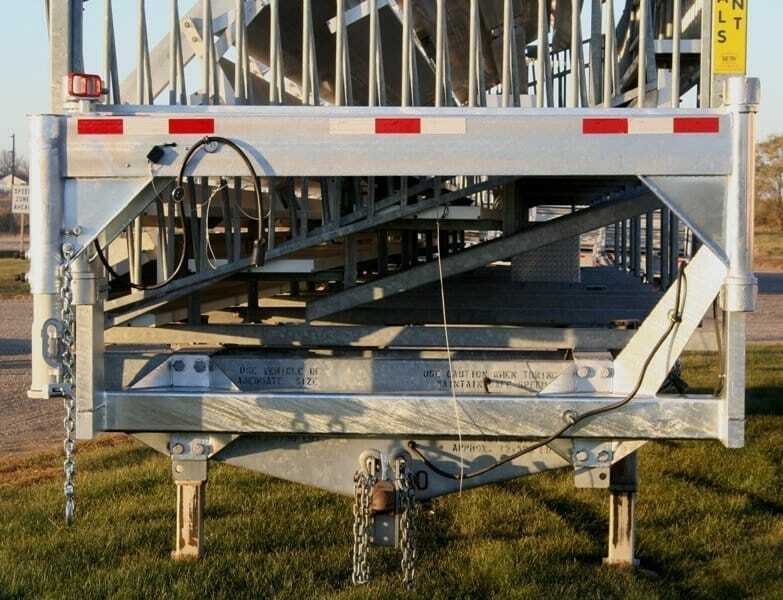 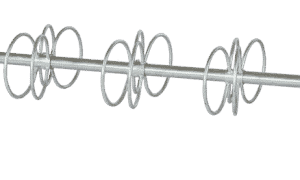 It’s a fairly easy bolt on application that will make towing your Speedy Bleacher long distances easy, even in high wind conditions. 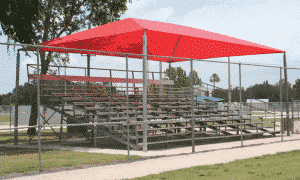 It also makes getting your Speedy Bleacher into tight positions easy. 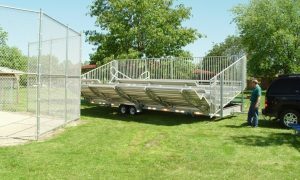 Best of all once you have your bleacher setup the hitch folds flat to get it out of the way of your patrons. 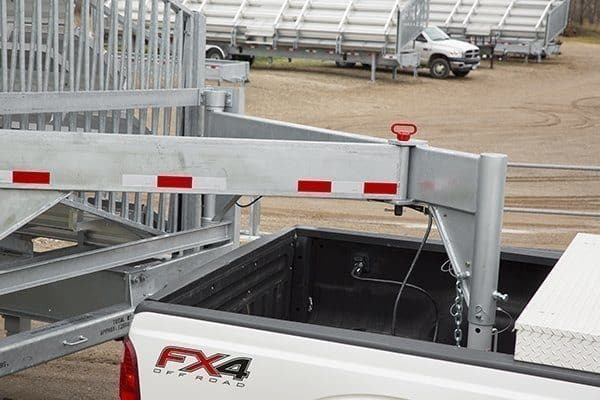 Note: This is a kit to be added to your existing Speedy Bleacher in addition to the bumper pull hitch or or it can replace the bumper pull hitch. 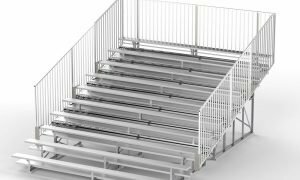 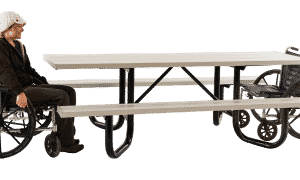 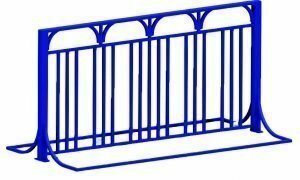 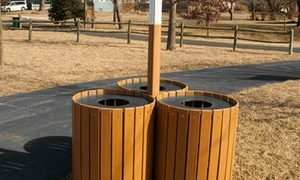 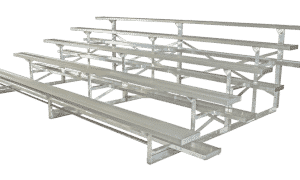 To see the price to add this as an option to a new Speedy Bleacher, you are ordering, while viewing the desired size of Speedy Bleacher you are considering please select request a quote or add to cart and you will see the price for each option for that specific size of Speedy Bleacher. 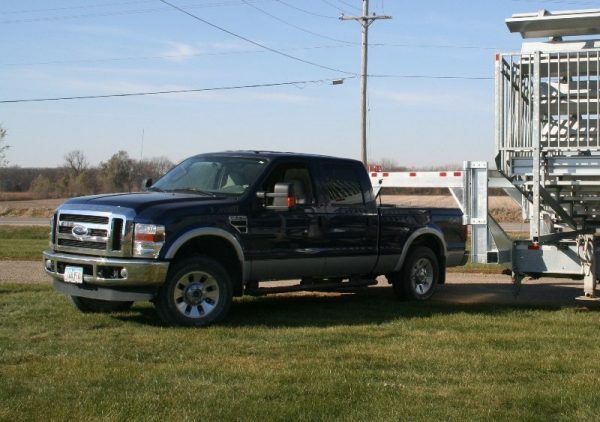 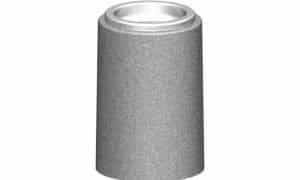 Or you can call our sales department at 800-553-2476.